Year round sport specific training, like baseball conditioning, is now needed to just keep up with “The Jones”. Once it sunk in, I liked how it sounded. But here is what I mean. Let’s take conditioning for just baseball. And let’s talk at the high school level. Up until the 1990’s there was very little conditioning done for baseball. Lots of baseball players also played football, and football players lifted weights, so most of the baseball conditioning came from lifting weights for football. Only not all weight lifting helps your baseball skills. Slowly baseball coaches also got into conditioning training, but their workouts were different than the football, basketball or track coach’s programs. Thus, we have sport specific training. And I’m not sure which came first, but we now also have many athletes choosing just one sport to play by their high school years. And those players do sport specific training year round. Also, they may start this training in the seventh or eighth grade. Baseball conditioning needs to be a twelve month year round program. It designed with a more intense and harder off season program, and a during season program that is less intense and just maintains your gains and helps to prevent injuries. There is no down time from baseball conditioning, only for your throwing arm. 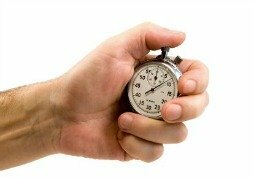 I was talking with a college baseball coach the other day and he told me a story that opened my eyes to the idea of no down time for conditioning. He had read about this, so he decided to give it a try and see if it was true. College baseball teams do three things in the fall. They practice hard, play a few games and they start their players on rigorous baseball conditioning programs. Their conditioning program usually starts in September and runs through the middle of December, until the players go home for Christmas or semester break. A lot of schools, including the one this coach was at, will have a four or five week break. This coach had read that players that do not keep working out during this break will lose most of what they had just gained in strength and conditioning. But one year he decided to find out. He recorded every player’s condition just before the break, like how fast they ran a shuttle run and how much their legs could lift. Then he told the red shirt players (players that were not going to play that spring) to take the semester break off and do no conditioning. The rest of the players he told to be sure and do the workout routines and that he was going to test them their first day back. Did You Workout Over the Break? Those players that did the workout routine over the break maintained their previous gains, and some even improved. The coach found that the red shirt players did not maintain their previous gains. Most were still improved from where they began in September, but had fallen back around fifty percent of their December gains. What this story tells us is that baseball players, just like athletes as a whole, have to keep working to maintain or improve their conditioning. And just like all other sports, conditioning for baseball needs to be a year round process. Do you want to work hard all fall and then blow it all over Christmas or semester break? I would hope not. And then when you spend the winter working hard to get in the best shape that you possibly can, don’t lose it all during the season. When you are not doing baseball conditioning at a full blast pace, at least do enough to maintain your present condition. It's a true fact that you are either going upstream or downstream, there is no standing still. So if you have put in some real hard work to get into shape, don't blow it by taking a few months off. At least do enough to keep rowing upstream, even if it is at a slow pace. Work Hard and Reap the Rewards. Here is what to look for in a winter workout routine. If you are a pitcher then search for some throwing specific exercise for the shoulder and rotator cuff. You will find on the internet lots of different exercises to strengthen your rotator cuff. As a pitcher this is probably the most important exercises you could do all winter. You will need to also find some shoulder strengthening exercises. These should help with your pitch speed and with your arm staying injury free. 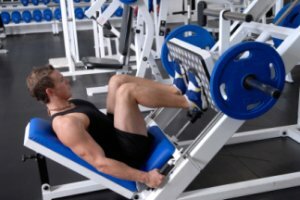 And to get more power and push off with your legs, be sure to find some leg weight lifting drills. But don’t start lifting any weights over your head. There are no drills for baseball conditioning that should have you lifting weights over your shoulder height. You non-pitchers are going to want to work more on your agility, speed, strength and power skills. Band or tube resistant running is one of the best ways to improve your speed. Any drills that will build strength in your legs will help with your speed. 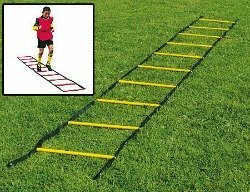 To improve your agility skills, try doing some agility ladder drills and cone running drills. There are lots of ways to use the ladder and cones. Check out this article to see some of the exercises we wrote about, Baseball Training Drills. Power exercises would include jump squats and box jumping. You might also throw in what they call power lounges. Directions for all of these can be found in places on the internet. None of them are any fun. But if you do them, you will be doing what 90% of baseball players avoid. This is one area to get ahead of everybody else. Also for your winter baseball conditioning include some strength exercises. Again, these are not popular choices, but these are the types of things you can do to make yourself a better player. Try to find some exercises that will strengthen your forearms. This will help with both hitting and throwing. Nowadays to stand out as a baseball players your baseball skills need to be at their best. This can only happen with a well-rounded year-round baseball conditioning program. There will be times that you will want to quit working out. To help prevent cutting back on workouts, try to get a teammate or friend to workout with you. Peer pressure will help keep you moving forward. Track your progress and keep striving to be the best. Work hard enough and you will be the best.